A leading, board certified Oral and Maxillofacial surgeon, Dr. Stein is one of a handful of oral and facial surgeons in the New York area to earn both DDS and medical degree. With more than 20 years experience in oral and maxillofacial surgery, Dr. Stein is an accomplished and skilled physician dedicated to providing the gold-standard in patient care. He earned degrees from both NJ Medical School and NYU College of Dentistry, where he won several awards, including the top oral surgery prize in the USA for the American Dental Association National Basic Science Competition. Dr. Stein was also honored with the prestigious American Association of Oral & Maxillofacial Surgery Outstanding Achievement Award. Dr. Stein completed his training in oral and maxillofacial surgery at Rutgers University during an intensive six-year residency program. With specialized additional training in bone grafting techniques and facial surgery, Dr. Stein also served as Chief Resident of Oral & Maxillofacial Surgery. He has been named a Super Specialist by the New York Times in the field of Oral Surgery. Dr. Mark Stein has extensive expertise in the treatment planning and surgical placement of dental implants, placing more than 10,000 dental implants during his career. 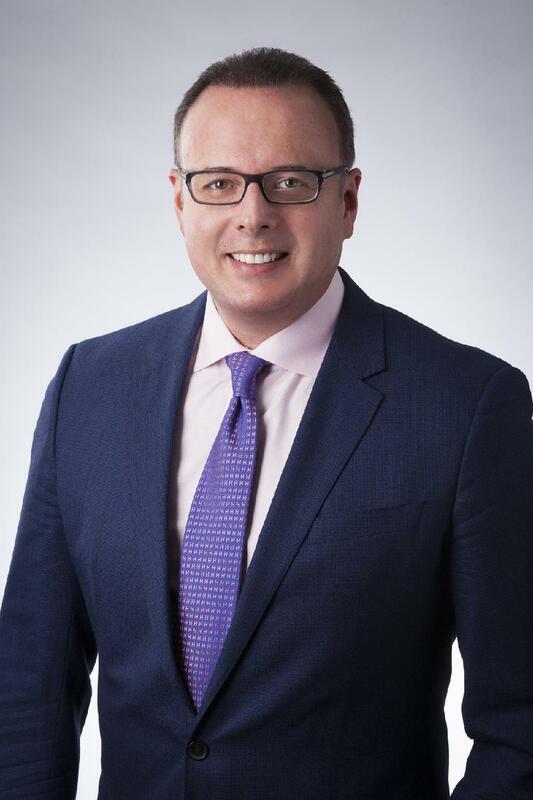 In addition to his highly successful private practice, Dr. Stein has also been an Assistant Professor of Oral & Maxillofacial Surgery at New York University and an Attending Physician at Staten Island University Hospital & Lenox Hill. 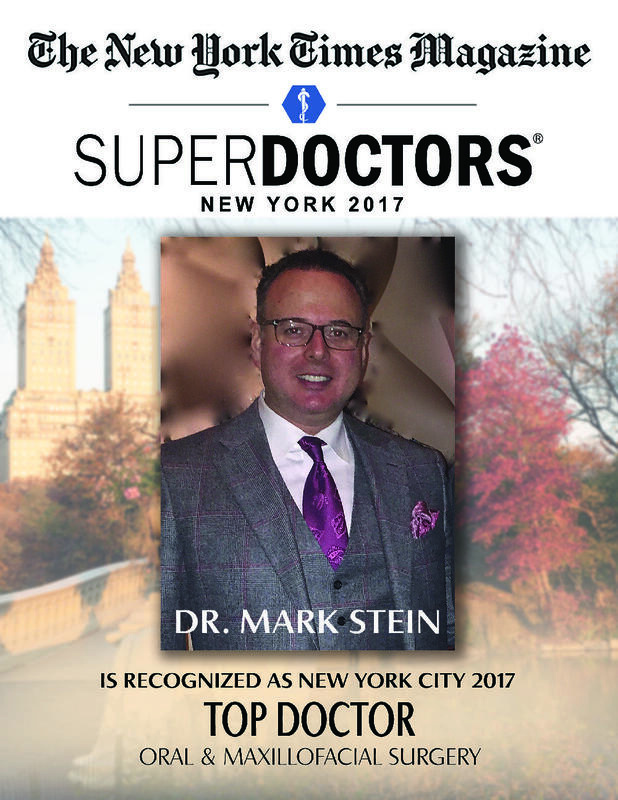 Dr. Mark Stein named NY Times Magazine Super Doctor 2017 for NYC - Aug. 30, 2018, 6:12 a.m.
A New Approach to Reconstructing Difficult Maxillary Defects Dec. 16, 2011, 12:10 a.m. Bone loss following tooth removal poses a challenge to placement of dental implants for the clinician. We are often faced with patients that have undergone extractions of teeth in the past, without any planning for bone maintenance and regeneration. These patients often wear removable dentures for years and at a later time decide to have a more permanent restoration made. With the advent of dental implants and ongoing improvement in implant design, offering a patient a removable denture becomes our second choice. Defects of the maxillary ridge pose a significant obstacle to proper placement of dental implants. The days of placing dental implants “where the bone is” are long gone, and with current technology of digital imaging and virtual placement of implants using computer guided software dictate proper planning and implant placement based on restorative guidelines. This requires being able to “grow” bone in areas that have been previously difficult to regenerate. There are several options to regenerate large volumes of bone in the maxilla. Sinus augmentation alone does not always address the problem of ridge width, and the combination of sinus augmentation with onlay grafting may still not be sufficient to restore the necessary volume. As an Oral & Maxillofacial Surgeon, I am often faced with ridge defects that require more than a sinus lift/onlay graft can address. The most commonly used bone grafting techniques obtain bone from one of two sources. Autogenous grafting means obtaining bone from the same patient. This requires another surgical site and carries with it additional morbidity. Since large volumes of bone are needed for the regeneration process, surgeons are often forced to obtain bone from the pt’s hip and/or other oral donor sites. In the autogenous grafting option, we are hoping that the living bone we just harvested stays alive during the healing process. That is not always the case. Allografts (human bone from cadaver donors) limit the amount of bone that can be regenerated since they are avascular (not living). They require a process whereby the body resorbs the placed bone graft and then replaces it with the patient’s own bone (Osteoconduction). This process is not always predictable for large volume defects, and may require several bone grafting attempts to achieve optimal bone volume. These grafts require the patient to provide the necessary cells and proteins to induce new bone formation. A new advancement in Maxillofacial Bone grafting has been the use of Recombinant Proteins to stimulate bone formation. Recombinant Bone Morphogenic Protein Bone Graft consists of two main components: a manufactured version of a protein that’s normally found in the body and a natural carrier for delivery of the protein. The protein is rhBMP-2 (recombinant human bone morphogenetic protein 2) in a pure, freeze-dried powder form. This is a naturally occurring protein common to all humans and animals with bone that is found in very small amounts, and its purpose is to stimulate bone formation at the site in which it’s placed (Osteoinduction). The natural carrier is an absorbable collagen sponge (ACS), which is made from a material found in bone and tendons. The ACS releases the protein over time in the location where it is placed, and provides a scaffold on which new bone can grow. As the graft site heals, the ACS is absorbed and replaced by bone. The application of rhBMP-2 Bone Graft results in the induction of normal bone at the site of implantation. The process includes the attraction of the patient’s own bone-generating cells into the site. The bone induced by rhBMP-2 Bone Graft is normal physiologic bone. This option combines the best of both worlds in bone regeneration. You are stimulating the patient to produce their own, living bone, without donor site morbidity. One is able to guide the bone formation process by adapting a Titanium mesh in the area where bone is needed. MM is a 62 year old female who has been edentulous in the left maxilla for the past 14 years. She has worn a partial upper denture to replace teeth #’s 11-15. She would like to have dental implants placed to avoid wearing a denture. Clinical examination of the site showed a knife edged ridge measuring 3mm in greatest diameter, pneumatization of the maxillary sinus and a vertical ridge defect (figure 1). Based on the large volume of bone necessary to restore the pts ridge to optimal volume for implant placement, the decision was made to use rhBMP-2 Bone Graft. The patient underwent a sinus lift procedure and ridge augmentation using rhBMP-2 at the same time (figure 2). The ridge width and height were determined and shaped based on a pre-operative wax up of the final restoration. A titanium mesh was used to contain the alveolar ridge portion of the reconstruction and a titanium tac was used to keep the mesh stable (figure 2a). The patient did not wear her partial denture over the grafted area. The site was allowed to heal for 6 months. At which point a CT scan was taken to evaluate the volume and quality of the graft (figure 3). An excellent result was obtained. 1.5 cm of newly generated bone was seen in the grafted area (Figure 4). The patient then underwent a second procedure where the titanium mesh containing the graft was removed and 3 dental implants were placed based on the pre operative wax up (figures 5,6,7). Theimplants were allowed to integrate for 4 months (figure 8,9) At the time of implant uncovering, a laser procure was performed to help keratinize some of the peri implant soft tissue in preparation for the restorative process. The implants were then restored by the dentist (figure 9, 10). As the reader can appreciate, this bone grafting procedure offers the surgeon an additional option when it comes to the regeneration of difficult resorbed ridges. Since the graft is not obtained from the patient, there is no additional morbidity associated with this technique. Using a protein naturally occurring in the body promotes the patient’s own bone to grow in a controlled manner. The result is a bony ridge that is naturally formed and “alive.” Implants placed into this type of bone graft will stimulate the bone cells to stay healthy and viable, insuring stability of the implants. When treatment planning your next patient that requires dental implant restoration in an area with significant bony resorbtion, consider discussing this treatment option with your surgical team. Smiling Patient likes Dr. Mark Stein on Sept. 28, 2018, 9:23 a.m. I had to get an emergency extraction of one of my molars. It was infected and excruciatingly painful. They were accommodating, flexible and professional. Dr Stein was an excellent, confident doctor with tremendous bedside manner. His team was and is, post surgery, a very responsive team! They made an excruciatingly painful experience into a bearable process. They even followed up the night of the surgery via text to make sure I felt ok. I said No to dental implants because he put one in during the surgery and I won't know the success until I get a replacement tooth in 3-4 months. I was referred to Dr. Stein by my dentist for two wisdom teeth extractions. Dr. Stein’s office made sure to work with my insurance, preparing the quotes beforehand and always made sure I understood the coverage I would receive. They also worked with my schedule and were extremely flexible. Dr. Stein and his team were the best I’ve dealt with when it comes to dental care. Dr. Stein was extremely kind and assuring in all my appointments and on the day of the surgery. I sometimes fear the initial needle poke, but barely even felt it. His team even checked in with me the evening of my surgery and again kindly answered all my follow-up questions. Overall, Dr. Stein was extremely professional, friendly, and made my procedure easy to understand and as painless as possible. In addition, everyone on the staff from May to those checking in make it their priority to take care of their customers. I would definitely recommend them!